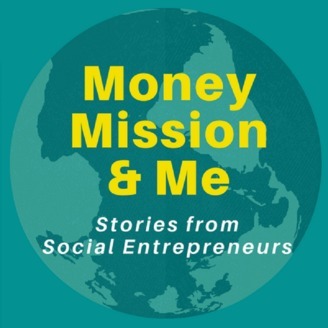 This podcast is for the mission-driven entrepreneur, aspiring entrepreneur, and social enterprise enthusiast. Join me as I interview entrepreneurs from all over the world who are pursuing both profits and positive impact. Their stories about getting funded and becoming profitable, are a great resource for us all. Listen in to learn how people like you and me started businesses that help address big social issues of our time. 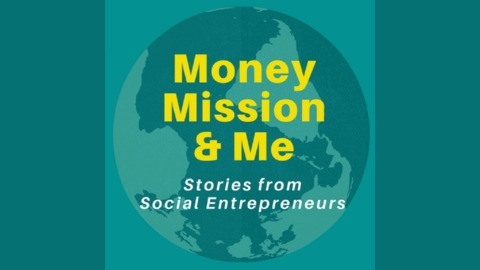 This podcast is for the mission-driven entrepreneur, aspiring entrepreneur, and social enterprise enthusiast. Join me as I interview entrepreneurs from all over the world who are pursuing both profits and positive impact. For episode 9, we're joined by David Paull, Chief Impact Officer of CompostNow. Inspired to do something about the declining health of soil across the country, David started Compost Wheels as a college student to provide a composting service that addresses organic waste and creates healthy compost to bring soil nutrients back to urban gardens and farms. Later, Compost Wheels joined forces with another enterprising composting startup called CompostNow to scale their combined impact. Today, CompostNow is servicing about 5,000 customers and expanding rapidly, while creating jobs and improving the health of our soils. Find more resources and details on the website www.moneymissionandme.com.